Sharjah: The rapid response teams of Sharjah Police rescued a motorist trapped inside his vehicle that caught fire in the desert on Friday. The 33-year-old Arab man was rescued from the burning vehicle and airlifted to hospital. 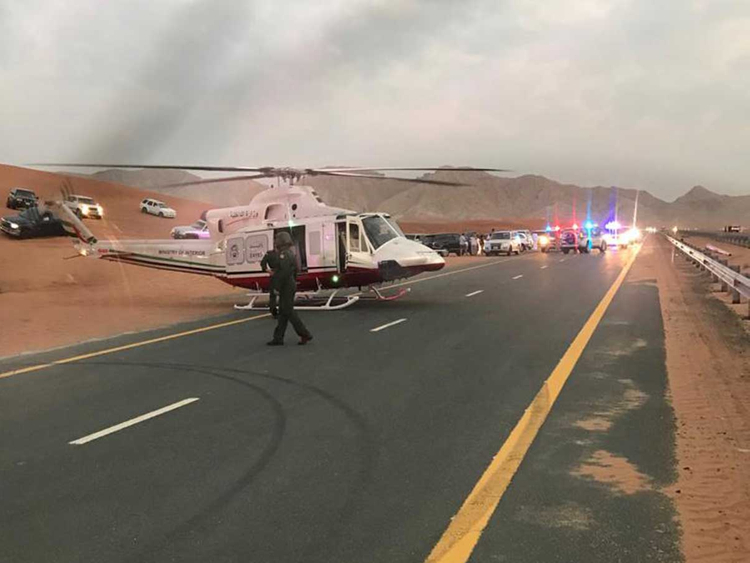 A group of young men gathered in Al Fayah desert and were riding the dunes when one of the vehicles overturned and caught fire. The Arab man sustained serious injuries and was moved to Al Qassimi hospital, where his condition is said to be stable. Sharjah Police urged motorist to take safety measures and not to drive recklessly, especially in the desert.